Domestic Skip Bins Perth | Need bins for your project? Domestic rubbish and green waste can pile up. We all know this. Just go a week without getting rid of the rubbish and clearing out your skip bins Perth and you’ll see it. It’s all piled up in that one spot, mixing together and generally being a nuisance. It’s important to clear it all out regularly. It’s also important to get the right containers. If you call out for skip bin hire Perth, you can get both. A good skip company like us will have all of your needs covered. We handle the entire Perth metro area and provide the best residential and domestic services in this field. Landscaping, renovation work, or just spring cleaning are also good ideas for you calling for rubbish bins. For domestic functions, you should look into bins that range from two cubic metres to ten cubic metres in size. A ramp door is probably a good idea for easy access. If you’re looking for regular pickups of rubbish, smaller ones are okay too. Bins are good for organic waste, building rubble, surplus building materials, paper, and cardboard. They can also be used for sand, timber, steel, and even household items. However, be sure to inform us of what to expect, so we can send the right type of bins to your site. If you’re wondering what size you need, let us help with that too. Just looking at the raw numbers of cubic metre capacity doesn’t always mean much to people. To help with a better visual, we’re referring to things in the number of trailer loads a bin size can hold at once. At two cubic metres, that’s three loads of trailers. At four, that’s double the capacity. Seven cubic metres ups the ante to ten loads. And finally, the largest of the bins will carry fifteen trailer loads worthy of rubbish and other stuff. Of course, the bigger the bin, the higher the cost. However, it’s not the only factor when it comes to price. You also have to look at possible overfilling. Going over the limit is going to incur fees, so it’s usually better to get one that’s too big than one that’s too small. The duration is also an important thing to consider. In general, we allow them to be hired out over a period of one to fourteen days. They’ll be delivered and collected on the schedule you provided. 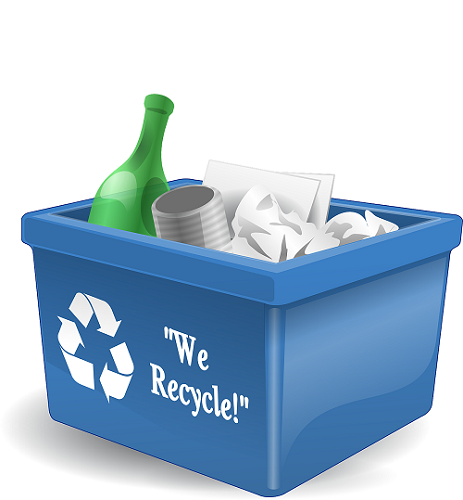 We’ll also take any materials that are recyclable. We have partners that process these materials, and we would be willing to pay you for salvage rights on these. Depending on the load, you can actually make money by having us pay you to recycle the materials.